- What do you hope to accomplish with a Ph.D. in Information Technology? Please describe the area in Information Technology that you would like to contribute to. - Why are you applying to this specific program? Please offer details as to why you feel you are a good fit for this program. - What background or qualifications do you have that you believe are essential to success in this program? Please provide specific academic accomplishments as evidence of your ability to conduct research. - What general area or topics do you hope to study? Please offer names of IS&T Faculty with whom you would like to work and/or Labs in which you would like to conduct your proposed research. - What do you expect to be doing in five to ten years after finishing the Ph.D program? • other evidence of potential for graduate scholarship such as a portfolio of quality papers, publications, theses and/or research projects conducted in labs or independent studies. 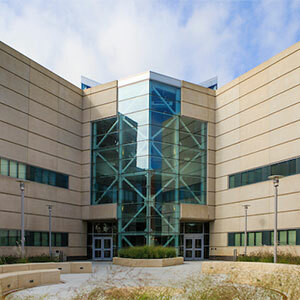 Applicants must meet the entry requirements of UNO's computer science, management information systems, cybersecurity master's programs. For applicants that are required to take the TOEFL: must score at least 577 paper-based; 233 computer-based; 90 iBT, 7 IELTS, or 61 PTE. Graduate Record Examination (GRE): GRE scores must be submitted but are only one component of a holistic admission decision. Successful applicants have typically had GRE score of 150 verbal and 160 quantitative or better. In reviewing applications for admission to the program, the doctoral program committee will consider the applicant's past academic record and scholarly potential as well as the match between the applicant's research interests and those of the IS&T graduate faculty.